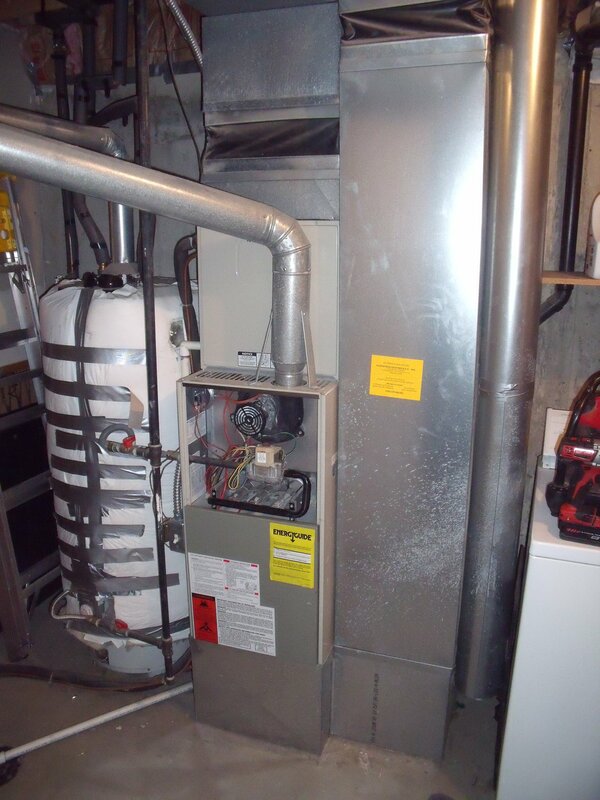 This Rheem had problems with a few parts which would have cost alot to repair. 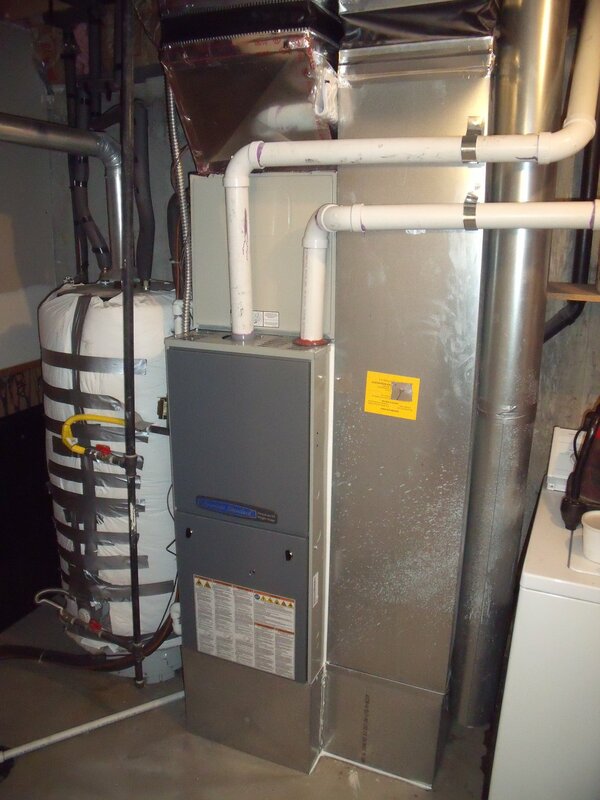 The home owner wanted an upgrade to a high efficiency furnace. 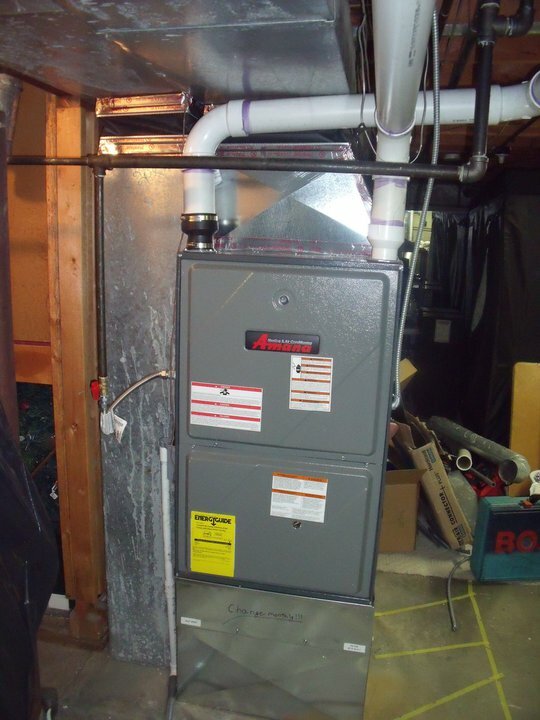 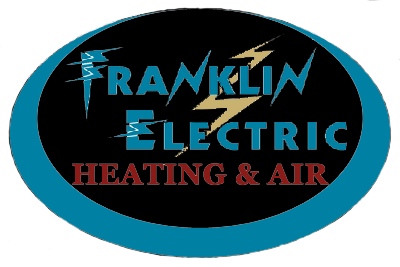 So Franklin Electric HVAC put in this American Standard 60k btu 95% efficiency furnace. 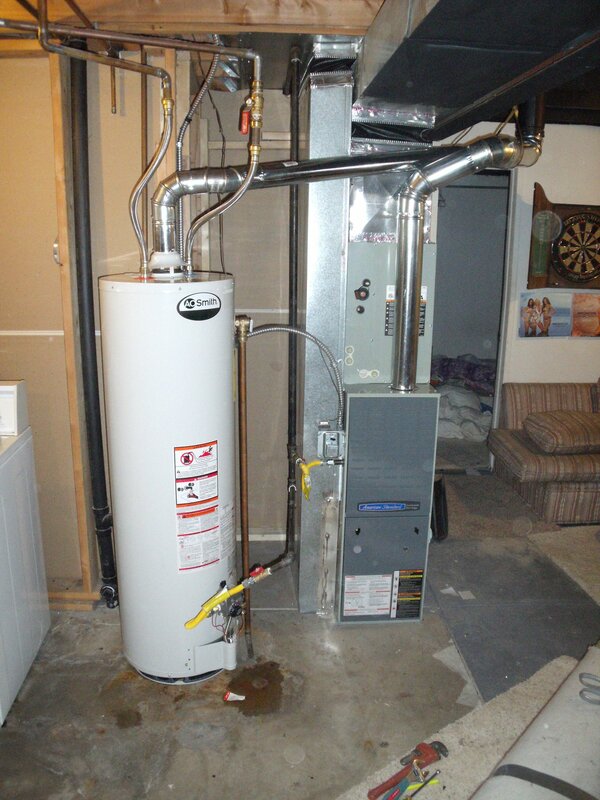 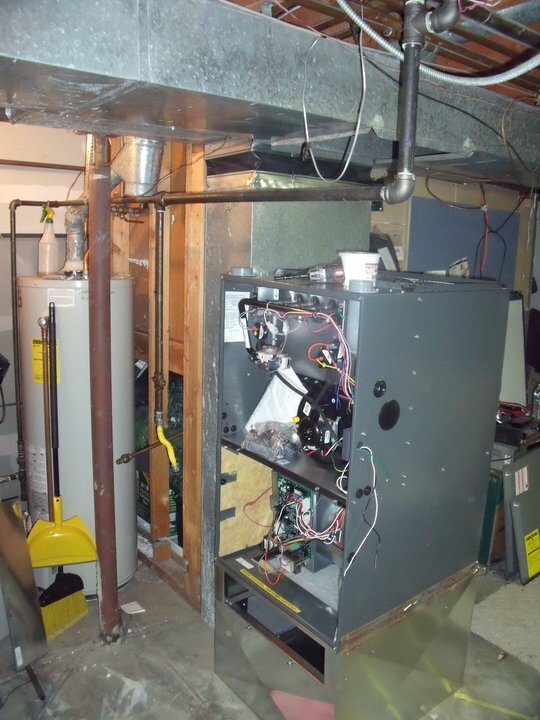 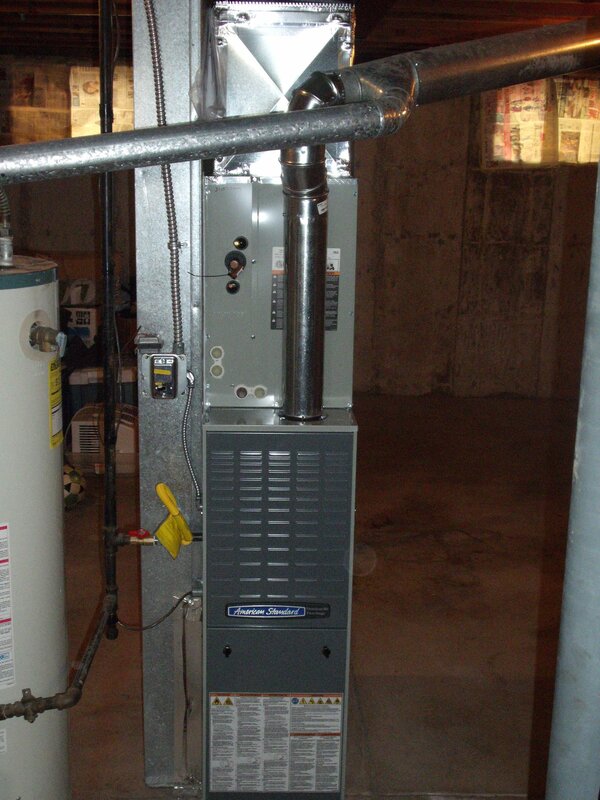 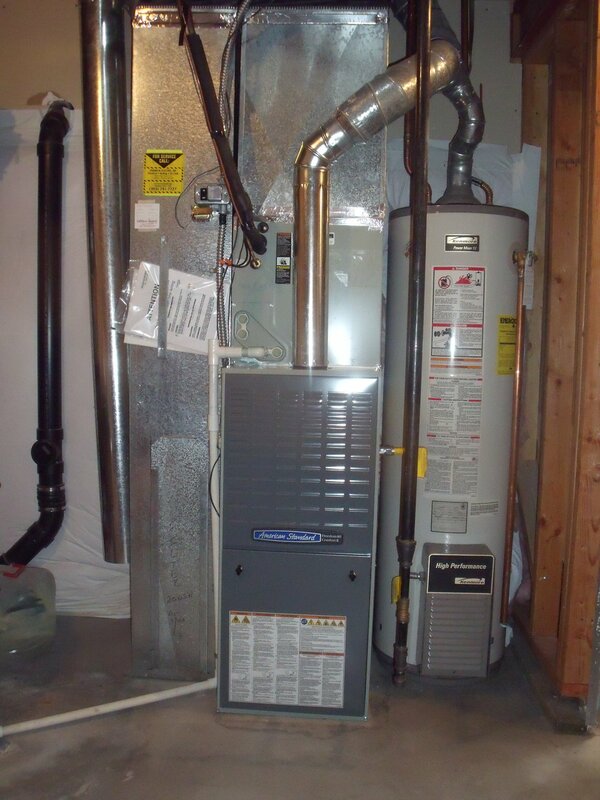 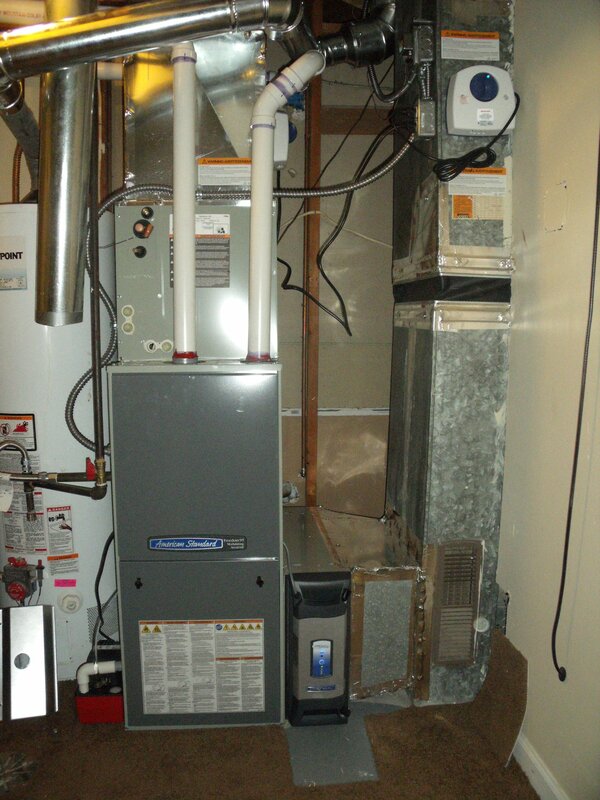 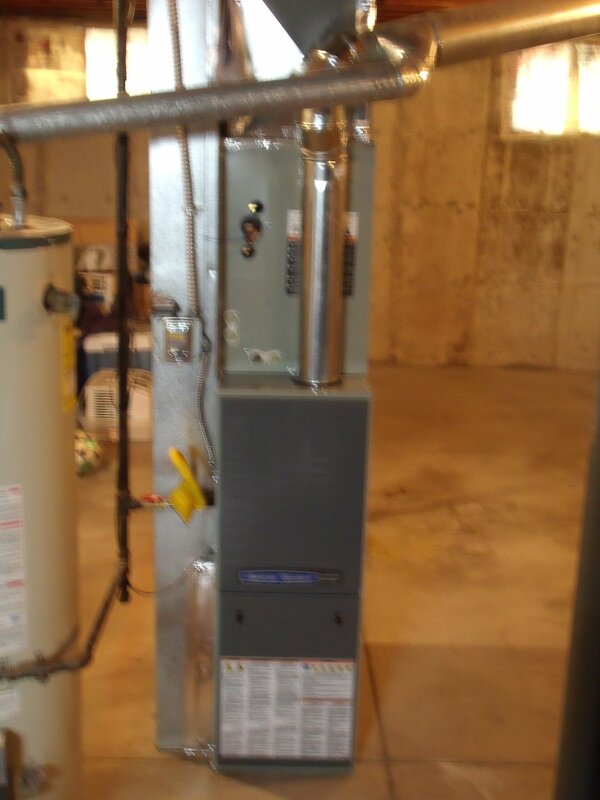 A look at the furnace and water heater of which both needed replacing as you can see. 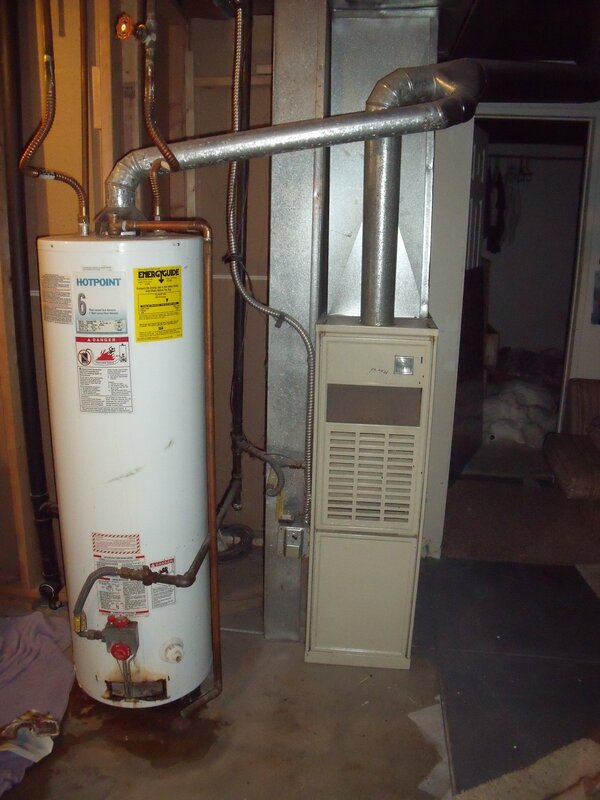 A look at the furnace and water heater after replacing.